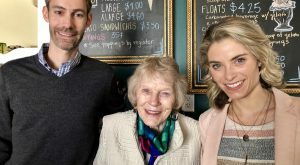 A year after acquiring a longtime Richmond-based commercial brokerage, a growing local real estate firm is adding to its portfolio amid a major shuffling among its competitors in the area. 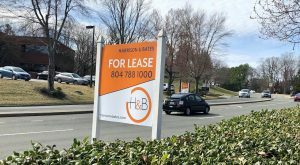 Dodson Commercial is entering into an agreement to purchase multiple local property management contracts of Harrison & Bates Property Management, a division to the current Colliers International | Richmond, according to multiple sources familiar with the deal. The deal, which involves office and retail space, is set to take effect Jan. 1 and represents all of Harrison & Bates’ local properties. 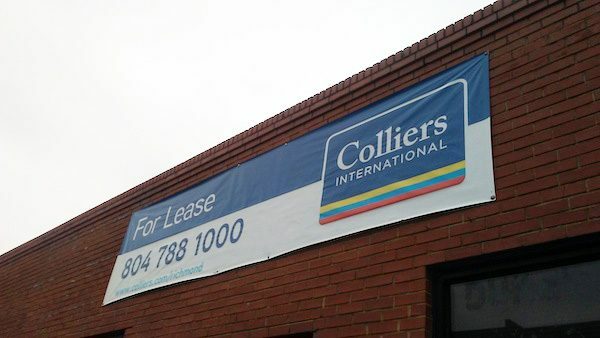 David Williams, president and CEO of Colliers’ current Richmond and Norfolk affiliate divisions, confirmed Wednesday the firm is negotiating a deal with Dodson to take over its Richmond property management contracts, but would not disclose a timeline for when the transaction would be complete. 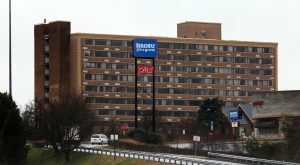 He added the deal only involves its Richmond management assets and does not include any property management contracts in the Norfolk area. 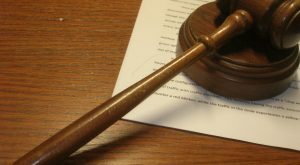 A purchase price for the contracts was not disclosed. The agreement comes as Williams’ firm is reestablishing the Harrison & Bates, or H&B, flag for its metro Richmond and Norfolk brokerage operations beginning Jan. 1 after it was announced last month that it would lose the Colliers flag. Colliers International is instead starting anew in Richmond and around the state after acquiring a majority interest of the group that is currently the statewide CBRE affiliate. The Harrison & Bates name, which dates back to 1910, had still been used for property management operations in the metro Richmond market. Much of the property it manages is located in Richmond and Chesterfield and Henrico counties. 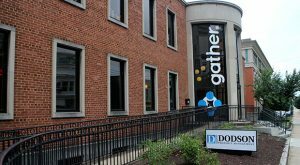 Dodson’s headquarters next to the Gather coworking space at 409 E. Main St.
Its property owner clients were notified of the pending change last week, according to several sources. The sources said plans to transfer the contracts have been months in the making and are unrelated to the broader Colliers and CBRE shakeup. 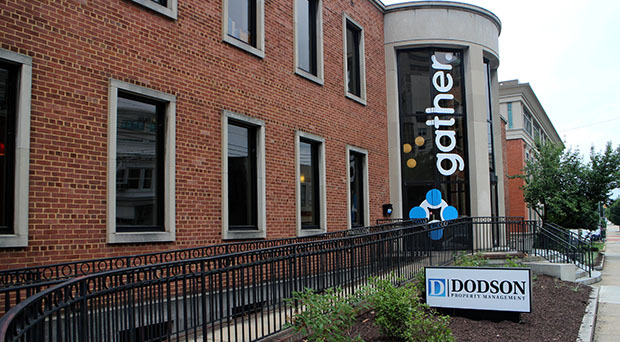 Duke Dodson, president of Dodson Commercial, deferred comments about the acquisition to Colliers International | Richmond. This latest acquisition grows Dodson Commercial’s property management portfolio to about 1.3 million square feet of commercial space in the metro Richmond market. In November 2017, Dodson acquired commercial brokerage Shockoe Co., picking up 700,000 square feet and several residential units across the region.